Returns are accepted for items that are not as described or are damaged during transit. We must be notified within 14 days of receipt. We will work with customers on any requested return and are decided on a case to case basis. If you have any questions regarding our pieces feel free to ask before purchase. We can answer questions over the phone, email or live chat when available. You can shop at www.FairXchanged.com with confidence. We have partnered with paypal, a leading payment gateway, to accept credit cards and electronic check payments safely and securely for our customers. FairXchanged is providing Member with access to buy and sell artwork. Each Member must provide (1) all equipment necessary for his or her own Internet connection and (2) provide for Member’s access to the Internet, and (3) pay any fees related to such connection. FAIRXCHANGED SHALL NOT BE LIABLE FOR ANY DAMAGES WHATSOEVER, AND IN PARTICULAR FAIRXCHANGED SHALL NOT BE LIABLE FOR ANY SPECIAL, INDIRECT, CONSEQUENTIAL, OR INCIDENTAL DAMAGES, OR DAMAGES FOR LOST PROFITS, LOSS OF REVENUE, OR LOSS OF USE, ARISING OUT OF OR RELATED TO THE SITE OR THE INFORMATION CONTAINED IN IT, WHETHER SUCH DAMAGES ARISE IN CONTRACT, NEGLIGENCE, TORT, UNTER STATUTE, IN EQUITY, AT LAW, OR OTHERWISE, EVEN IF FAIRXCHANGED HAS BEEN ADVISED OF THE POSSIBILITY OF SUCH DAMAGES. SOME JURISDICTIONS DO NOT ALLOW FOR THE LIMITATION OR EXCLUSION OF LIABILITY FOR INCIDENTAL OR CONSEQUENTIAL DAMAGES; THEREFORE SOME OF THE ABOVE LIMITATIONS MAY BE INAPPLICABLE. Member agrees to indemnify and hold FairXchanged, its parents, subsidiaries, affiliates, officers and employees, harmless from any claim or demand, including attorneys’ fees and costs, made by any third party due to or arising out of Member’s use of the Site, the violation of this Agreement, or violation of any law by Member. FairXchanged reserves the right to modify or discontinue the Site with or without notice to the Member. FairXchanged shall not be liable to Member or any third party should FairXchanged exercise its right to modify or discontinue the Site. Member acknowledges and accepts that FairXchanged does not guarantee continuous, uninterrupted or secure access to the Site, and operation of the Site may be interfered with or adversely affected by numerous factors or circumstances outside of FairXchanged’s control. Specifications about and other information regarding artwork for sale on the Site have been provided by individual sellers and is not verified by FairXchanged. While FairXchanged makes every effort to ensure that the information on the Site is accurate, we can make no representations or warranties as to the accuracy or reliability of any information provided on the Site. FairXchanged makes no warranties or representations whatsoever with regard to any product provided or offered by any seller, and you acknowledge that any reliance on representations and warranties provided by any Vendor shall be at your own risk. Purchases of items from the Site are governed by the terms set forth in the FairXchanged Customer FAQ. Unless otherwise stated, all prices on the Site are in U.S. Dollars. Customers (that is, purchasers of items from the Site) are responsible for paying all fees and applicable taxes in a timely manner with a valid payment method. If a Customer’s payment method fails, FairXchanged may collect fees owed using other collection mechanisms. By submitting to FairXchanged any images of artwork for sale on the Site (“Images”), you warrant and represent that you own all rights, including but not limited to all U.S. copyright rights, in and to the Images. 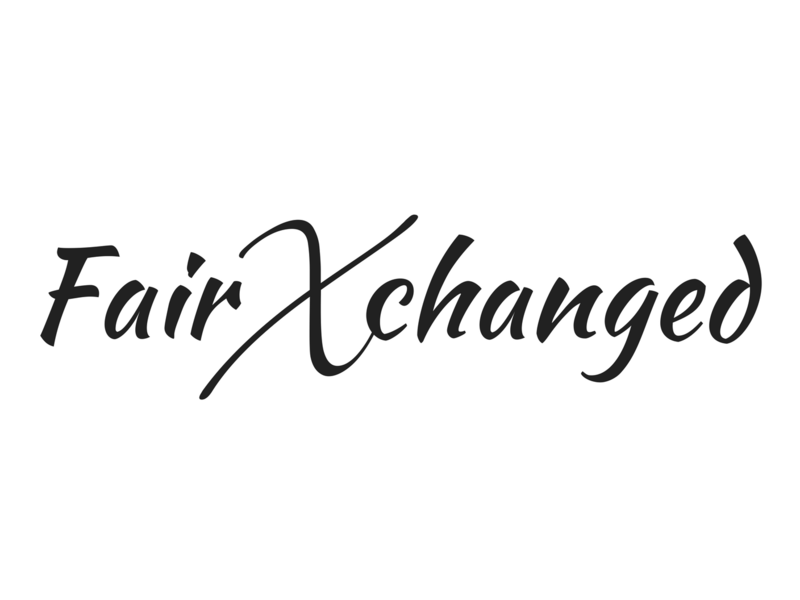 You grant to FairXchanged the worldwide, perpetual, irrevocable, royalty-free, sublicensable right and license to reproduce and prepare derivative works of the Images for the purpose of advertising the Images for sale on the Site. To the extent that you do not own all rights in and to the Images or that FairXchanged’s use of any of the Images as permitted under this Agreement infringes or otherwise violates the rights of any third party, you agree to indemnify and hold FairXchanged harmless from any claims or demands, including attorneys’ fees and costs, incurred by FairXchanged with respect thereto. All images on the Site are either owned or licensed by FairXchangedand may not be reproduced or used in any manner without the express written permission of FairXchanged and, if appropriate, the relevant artist. Copyright © 2016 FairXchanged.com. All rights reserved. All physical artwork is owned solely by the individual artists represented here and are subject to United States and International copyright laws. FAIRXCHANGED, the FAIRXCHANGED logo are trademarks owned by FairXchanged and may not be used without prior written permission of FairXchanged. If you believe that any works on the Site infringe your copyright rights, please provide FairXchanged’s copyright agent with information as required by Section 512(c) of the U.S. Copyright Act.